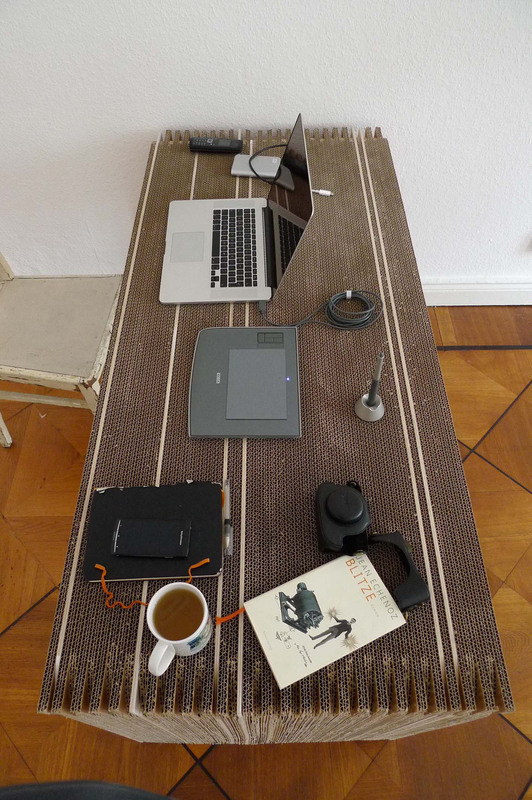 Paper desk is an experiment that works just great as a computer desk. Its specific design tests the strength of the narrow cut multilayered cardboard slats. 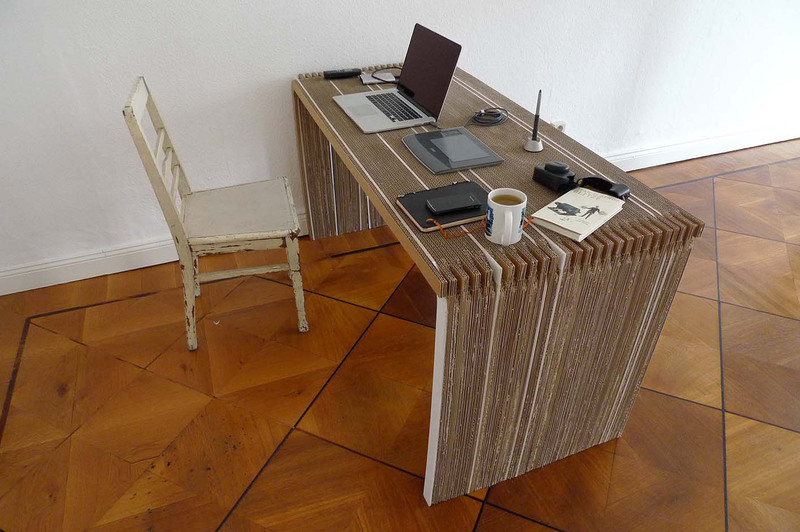 They are glued together to generate the horizontal surface of the desk, just as well as the both “legs”. 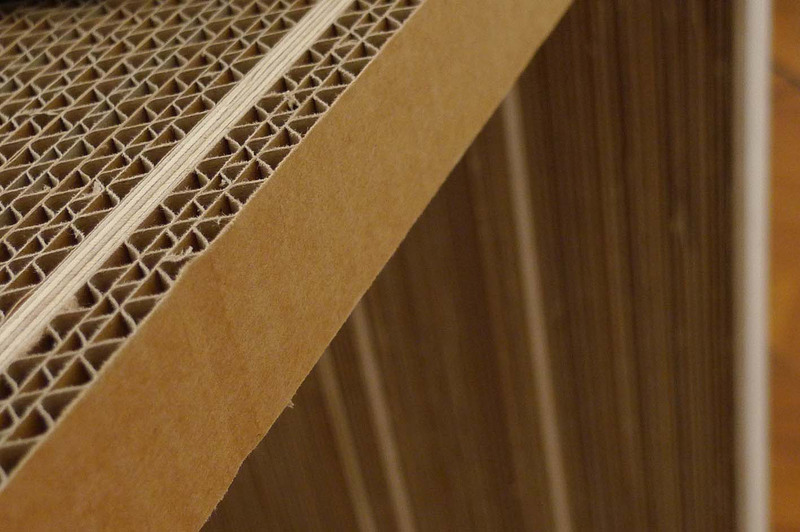 Individual pieces of the three-layer cardboard are cut using CNC cutter. 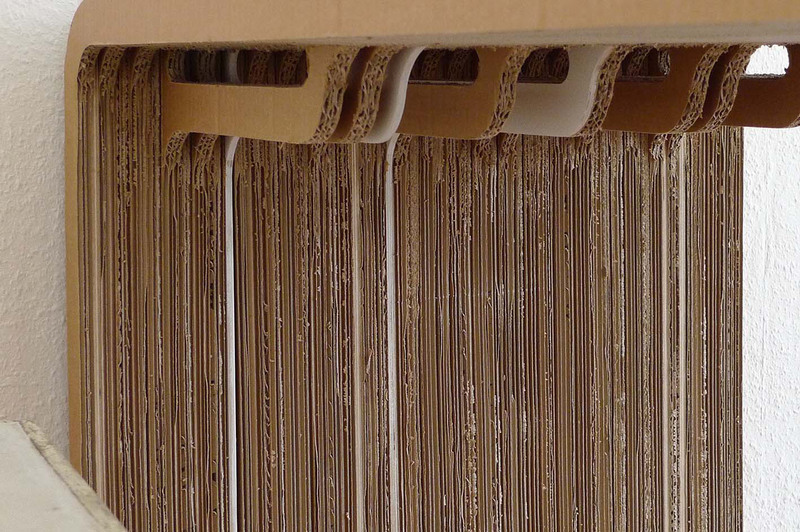 The cardboard slats measure only 40mm with horizontal length of over 1500 mm. 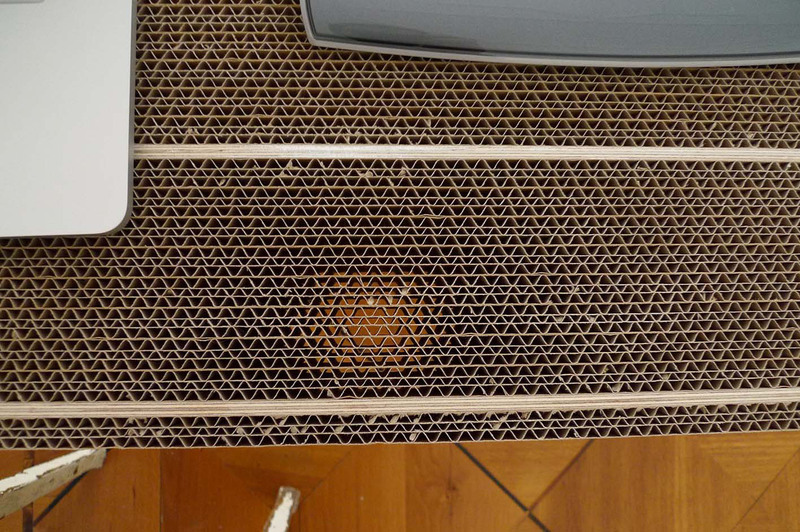 The cardboard structure, side showing the three layers of it, is used in the way to generate the see through surface of the desk. 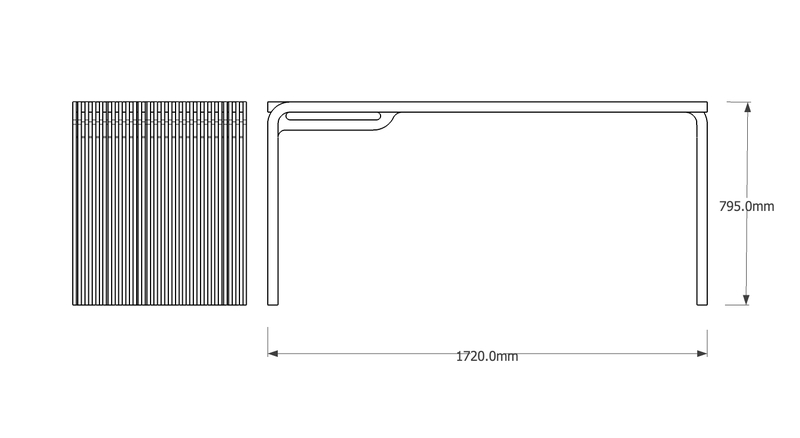 Some of the slats have additional pocket designed to store a laptop or similar shaped objects. Occasional white stained plywood inserts have mainly aesthetic purpose. 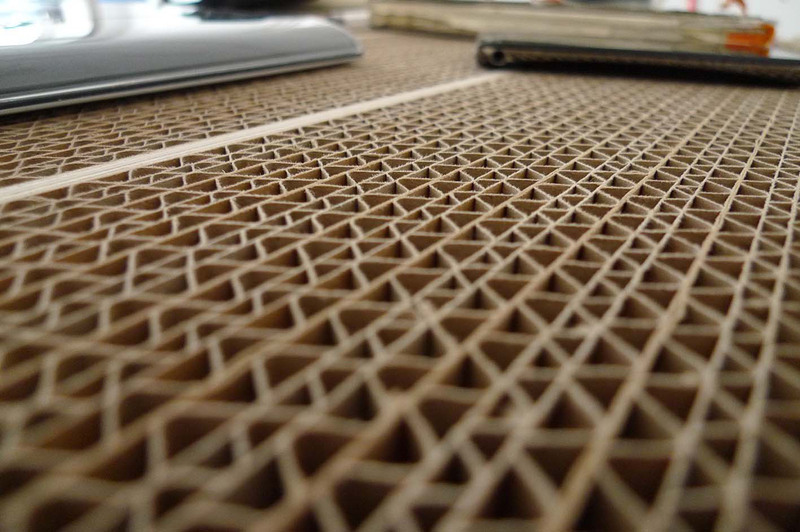 The material proved to be hard enough even though the true strength in cardboard is achieved through its folding. Hello, is there a possibilty to buy the desk?